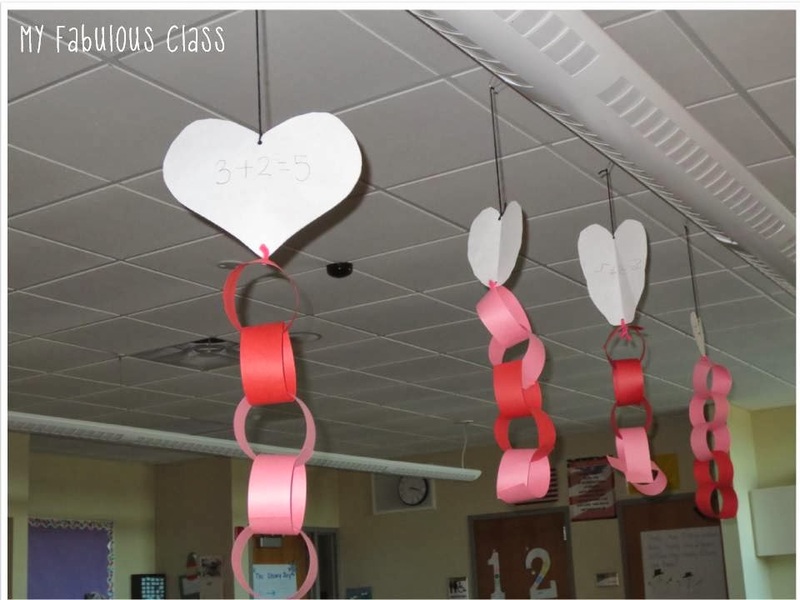 My Fabulous Class: Valentine's Day Fun! February is such a FUN MONTH!!!! We have been celebrating Valentine's Day this week. 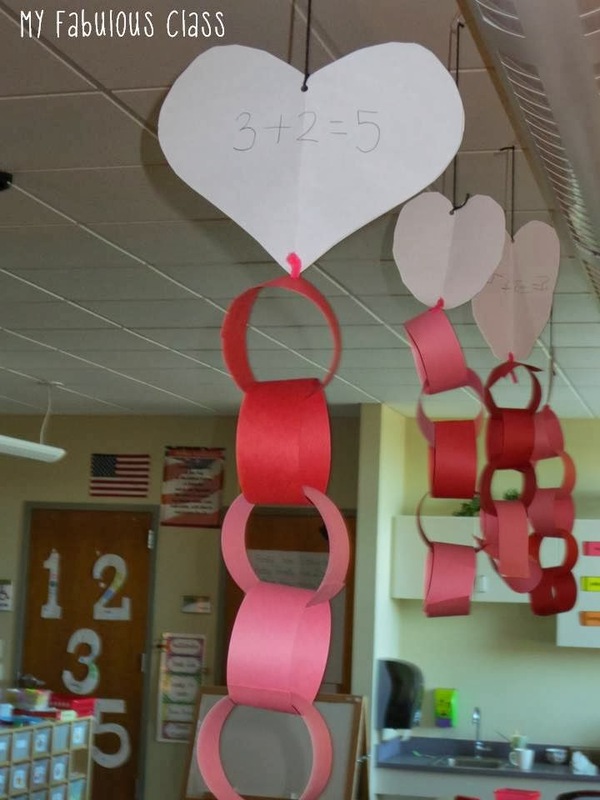 This comes from my Valentine's Day Math Centers. We have been hard at work on comparing quantities and numerals. The kids LOVED spinning the spinner to pick more or less, then they circled or clipped their answer. This is another differentiated center. 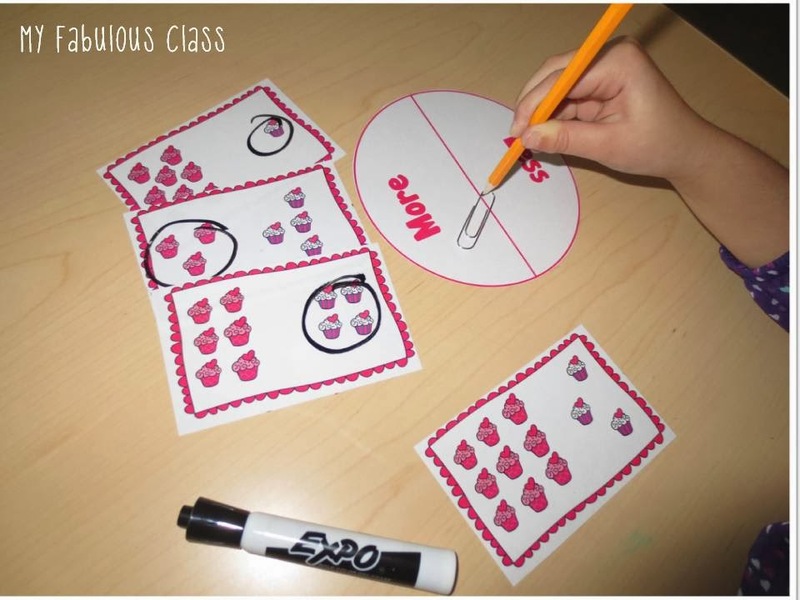 There are numeral cards 1-20 for students who are working on counting objects. 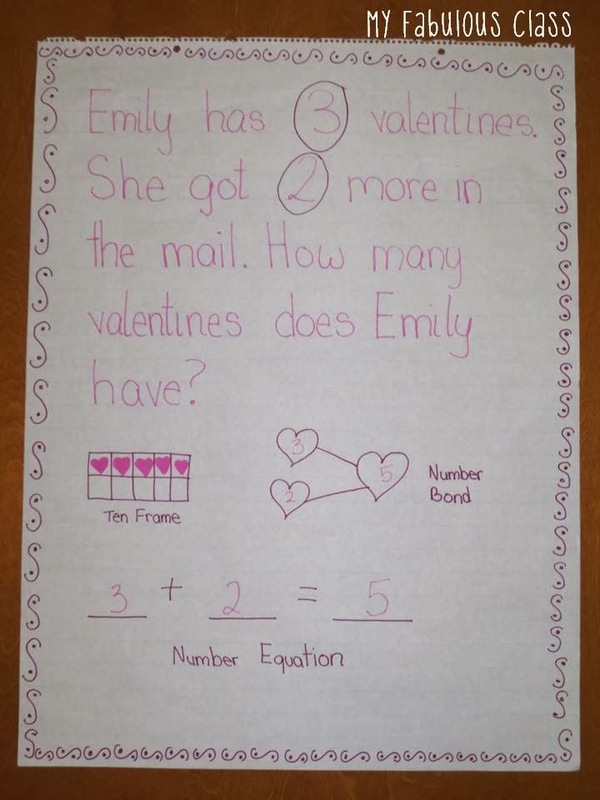 There are also number equations up to 10. I included a picture of a cookie sheet, if you don't have any in your classroom. We have been working hard with our interactive word problems. The kids helped me to draw the pictures and write the numbers. We our also working on our math vocabulary by labeling the ten frame, number bond, and number equation. 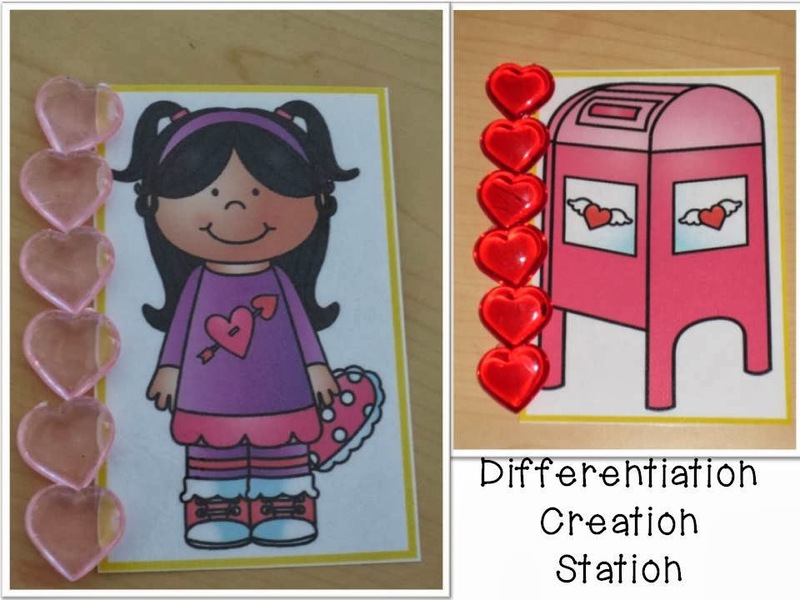 This last picture is from Laura at Differentiation Station Creation. 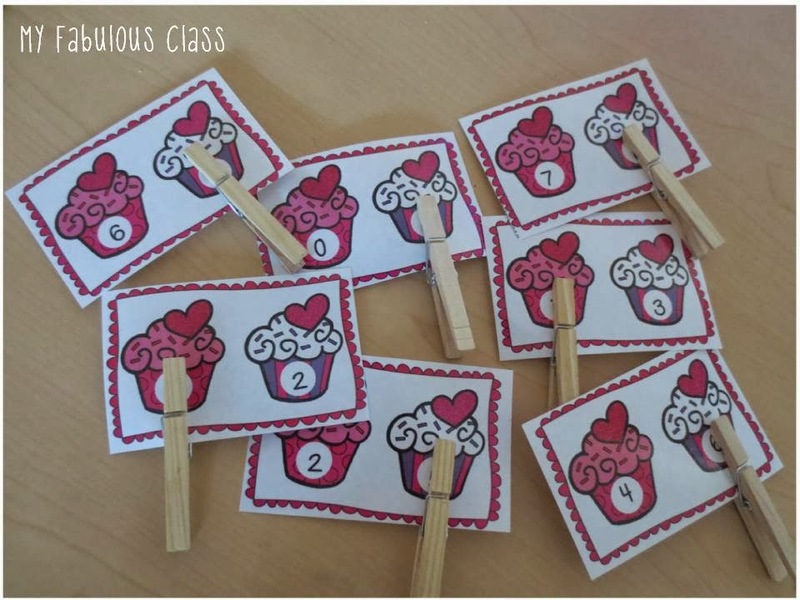 My kids practiced measuring with her Differentiated Valentine's Day Centers, Games, and Printables. 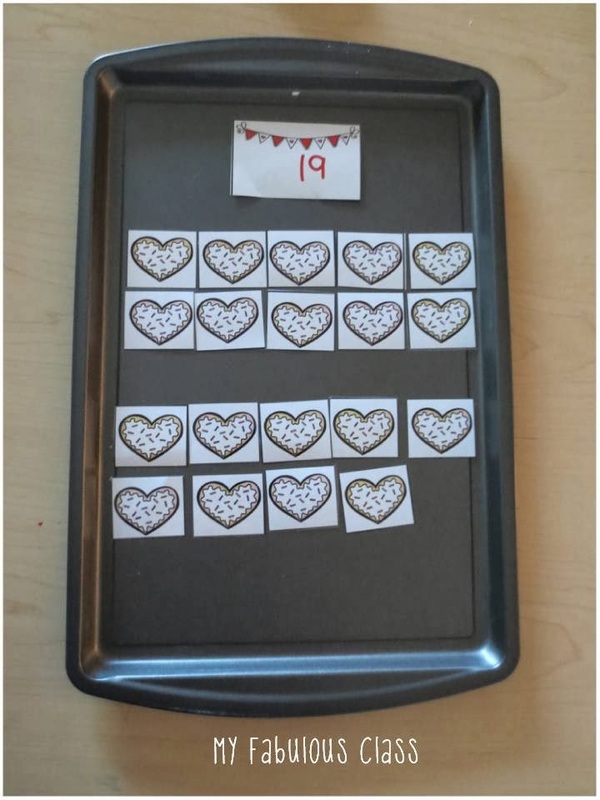 Laura included heart measuring tape but I thought it would be fun to use these counters I found at the dollar tree. I have more pictures of my literacy centers, but I will save those for tomorrow. 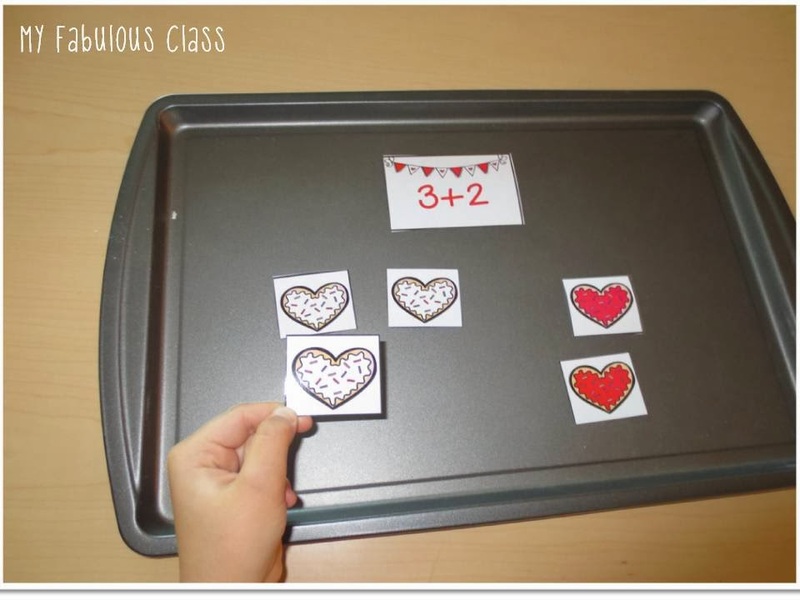 I love the heart measurement idea! GUESS WHAT- Alyson beat me to it too.... I also nominated you for a Liebster. Haha! Oh, well, at least you'll definitely be participating!